Sitting in an elevated position above Amalfi, Ravello is a peaceful and charming location which retains an air of refined glamour and enchantment. 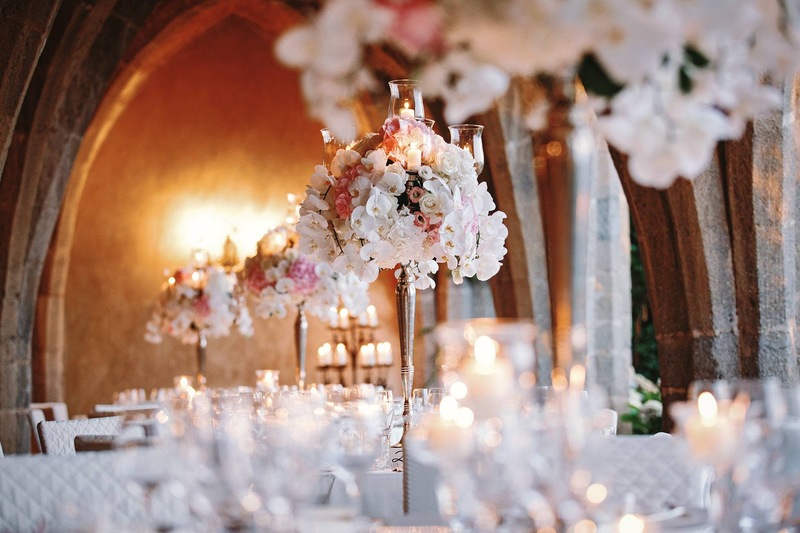 A truly unspoilt gem, Ravello is famous for its’ incredible views and gardens and is now becoming a popular location for destination weddings with people arriving from all over the globe. Still within an hour and a half’s drive of Naples Airport, Ravello offers an elegant alternative to Sorrento, which has for years been a popular wedding destination for couples tying the knot abroad. The principal Ravello tourist attractions are the two famous gardens, Villa Cimbrone and Villa Rufolo, both of which are open to the public and afford fabulous views of the whole coastline.
" I love Ravello because it offers a completely different vibe to some of the other popular southern Italian wedding destinations. For those seeking a tranquil and more intimate setting then Ravello is absolutely perfect. The venues that I work with are all equally beautiful in their own right; from the famous Crypt of Villa Cimbrone to the fun and completely exclusive Villa Eva with its 360 degree view of the coast; to the splendour and sheer elegance of Palazzo Avino; it really is hard to choose the perfect wedding reception venue because they are all incredible in their own right! In Italy in order to have a legally binding ceremony, it has to take place in a recognised building or location (usually the town hall) which can sometimes be a little uninspiring. In Ravello the civil ceremony can take place outside in the beautiful ‘Giardini della Principessa di Piemonte.’ These gardens offer a picturesque backdrop to say your all-important vows and with the help of the local florist, Armando Malafronte (a celebrity in his own right in Ravello) the overall effect is incredible! The gardens are centrally positioned as well so it’s easy to get to your reception venue, usually on foot! " And how about having a guitar and mandolin accompany you as you walk to the reception venue? The beauty of Ravello is that most venues are pretty much within walking distance of each other which makes it easy to arrange this musical accompaniment, so fitting with character of the town and making your wedding day super authentic. There is a wonderful range of hotels from 5 star luxury; to more affordable options to ensure that everyone is catered for. If you do want to go further afield it is also well served by buses and taxis. Nearby towns of Amalfi and Minori are well worth a visit. There is also a famous cooking school located in Ravello which provides a great ‘get to know each other’ activity for your wedding guests! For the historians amongst you Villa Cimbrone is an absolute must see; the earliest references to the villa date back to the eleventh century AD and it has been frequented over the years by many famous politicians, actors, writers and musicians. If you visit you will no doubt see why.
" Twenty five years ago I was asked by an American magazine what was the most beautiful place that I had ever seen in all my travels and I said the view from the belvedere of the Villa Cimbrone on a bright winter’s day when the sky and the sea were each so vividly blue that it was not possible to tell one from the other. " The aforementioned Belvedere Terrace (infinity terrace) also makes for truly incredible wedding photos! This terrace is pictured above - photograph courtesy of Gianni Di Natale Photographer www.giannidinatale.com.